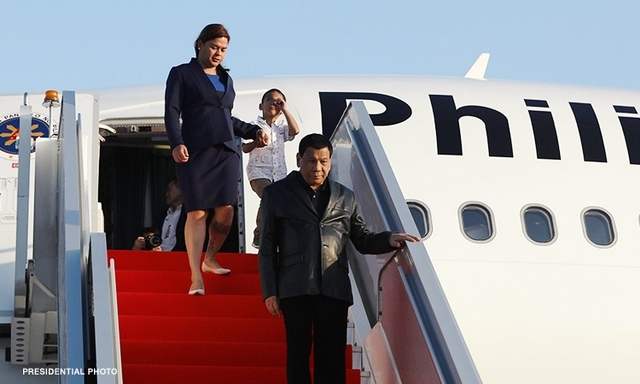 MANILA – Senator Panfilo Lacson on Thursday said Davao City Mayor Sara Duterte-Carpio is his top choice among the present crop of young leaders emerging as the potential national leader. “Speaking of Mayor Sara Duterte, make no mistake: if the next leader of our country will emerge from the young, fresh and new faces in national politics, my top choice right now is Sara Duterte,” Lacson said during the regular Kapihan sa Senado news forum. “She is strong-willed, stern, vibrant, progressive-minded, and has obviously good leadership qualities,” he added. Lacson said he is not saying there are no other emerging young leaders, pointing out that there are a number of young hardworking lawmakers with good leadership potentials in the Senate alone. “But at this time and this is my personal opinion, based on whatever political sense I have accumulated after my long years in government service, Mayor Sara stands out and is right in front of the pack,” Lacson said. He, however, clarified that his statement is not an endorsement for the presidential daughter. "I’m not endorsing her. I’m just saying that among the known young leaders if we would choose from young and fresh faces in national politics, and I think you can agree with me, that Sara Duterte has really caught our attention. Not only because she’s the daughter of the President but her track record coupled with her experience as local government official in Davao, says it all," he said.